May was a slow month, but June seems to fasten a little bit; lots of things coming up. Every time you start something, wow!… the start is slow. Color, color, color,… everywhere! 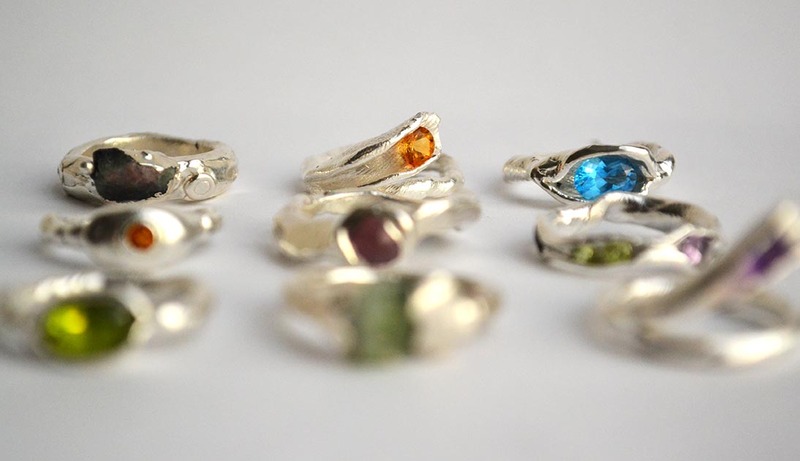 This colorful sterling silver rings are an experimentation on organic techniques. This rings where hand formed on jeweler’s wax and then cast, like a little sculpture. Every each one is unique, unique on the marks, love their texture; unique on the form. 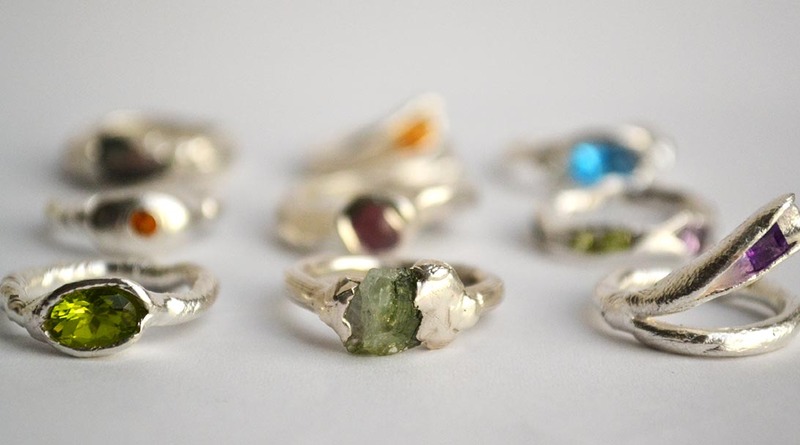 And still have more to come, working on choosing their natural gemstones and putting them into the rings.